A key idea in the study of democratic transitions is the notion that political actors play a pivotal role in initiating, controlling and shaping the changes that lead to democracy. Based on this premise, this book aims to offer an in-depth study of a series of political leaders that played a significant role in the Spanish democratic transition (1975-1982). This book opens with an introduction providing the historical, political and theoretical context for the study of the political leaders of the Spanish transition to democracy. The authors then offer in the first half of the book a study of the central and/or innovative leaders of the political transformation, i.e. Torcuato Fernández-Miranda, Adolfo Suárez González, Felipe González Márquez, Manuel Fraga Iribarne and Santiago Carrillo Solares. The second half of the book analyzes the leadership roles of Fernando Abril Martorell, Francisco Fernández Ordóñez, Alfonso Guerra González, Jordi Pujol i Soley and Xabier Arzalluz Antia. Taken together, these ten leaders represented the main options in the political spectrum of the Spanish transition. Despite numerous studies devoted to the Spanish transition, little attention has been paid to it. This book aims to reconsider these ideas in an effort to improve upon our knowledge of political leadership during a crucial time in recent Spanish history. 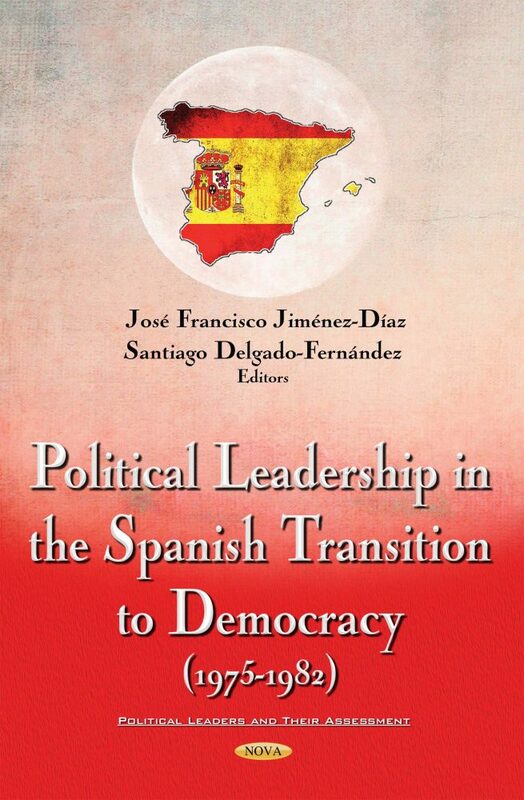 “The authors give a new and suggestive interpretation of the Spanish transition to democracy (1975-82) based on a comparative analysis of their main leaders personal and political profiles.” - Josep Maria Vallès is Professor of Political Science and former Rector of the Universitat Autònoma de Barcelona. First Dean (1985-1990) of the Faculty of Political Science and Sociology at the Universitat Autònoma de Barcelona. The volume would be of interest for Anthropologists, Communicators, Journalists, Political Scientists, Publicists, Economists, Psychologists and Sociologist. Moreover, you could contact to all those people someway involved in Spanish political leadership, Spanish political parties and transition to democracy and their challenges in the Spanish society and other societies involved in political changes.